HRF and Somalia Community Concern have helped a large number of children within the Banadir region and Afgoye district with accessing basic and quality education. HRF and Somalia Community Concern have helped a large number of children within the Banadir region and Afgoye district with accessing basic and quality education. Ensuring that education services were equitable and inclusive, both children and families were helped to increase their living standards and school enrollment rates. We assisted with repairing and rehabilitating unsafe and unsuitable classrooms, distributed school items and improved service provision through collaborating with local education authorities. Both Mogadishu and Afgoye have hosted large numbers of Internally Displaced Persons (IDPs) since 2007. According to United Nation Office for the Coordination of Humanitarian Affairs (UNOCHA), in 2013, 184,000 IDPs resided in and around Mogadishu, whilst 400,000 IDPs existed in Afgoye before the African Union Mission in Somalia (AMISOM) and Transitional Federal Government of Somalia (TFG) military advance in March 2012. Such high levels of internal displacement means that high proportions of children within the Banadir region and Afgoye district are not accessing basic education. In the same year an in-depth needs assessment carried out by the education cluster in both Mogadishu and Afgoye showed more than 90% of the IDP children were either entirely lacking educational opportunities, or facilities were inadequate to the community needs with acute shortages of qualified teachers and training opportunities. 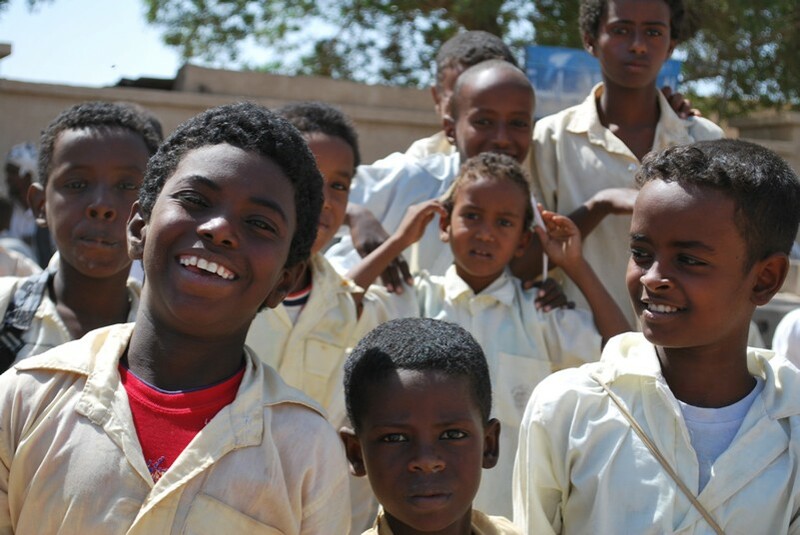 Funded by the Canadian Department of Foreign Affairs and International Trade (DFAIT) Human Relief Foundation and its local partners Somalia Community Concern (SCC) provided the opportunity for 12,000 children to attend school. The project ensured that education services were equitable and inclusive. The families of participating students (approximately 30,000 individuals – both men and women) benefited from hygiene education and increased living standards as increasing school enrolment and attendance enabled parents to seek livelihoods/employment through which to provide for their families basic needs. In addition, capacity building of local education authorities and Community Education Committees (CEC) benefitted entire communities by increasing the quality of service provision and education systems and increasing the employability of their members. Alongside our local partners, Somali Community Concern (SCC), and with previous support from UNICEF, Human Relief Foundation supplied educational materials such as blackboards, pens and pencils, as well as recreation kits including skipping ropes, footballs and basketballs, to 53 primary schools in camps in Mogadishu. The rehabilitation and repairs of 80 classrooms were carried out and 212 teachers were supported with their monthly salaries, so that thousands of children were able to benefit into the future from quality education in literacy, numeracy, science, Somali and Arabic. Click here to view partner site.